Happy (Chinese) New Year! I know, I had backlogs for #KoristaAko. The last quarter of the year had always been busy, busy busy! But it was very musical, and I hope yours was, too. Now, on with my latest post! Last October, my husband and I (being part of the Philippine Choral Directors Association) were invited to attend a Culminating Recital event of the Plan W Sing Philippines Choral Leadership Program at the PICC in Pasay City. Plan W is a project led by Diageo Philippines, in cooperation with the Andrea O. Veneracion Sing Philippines Initiative. 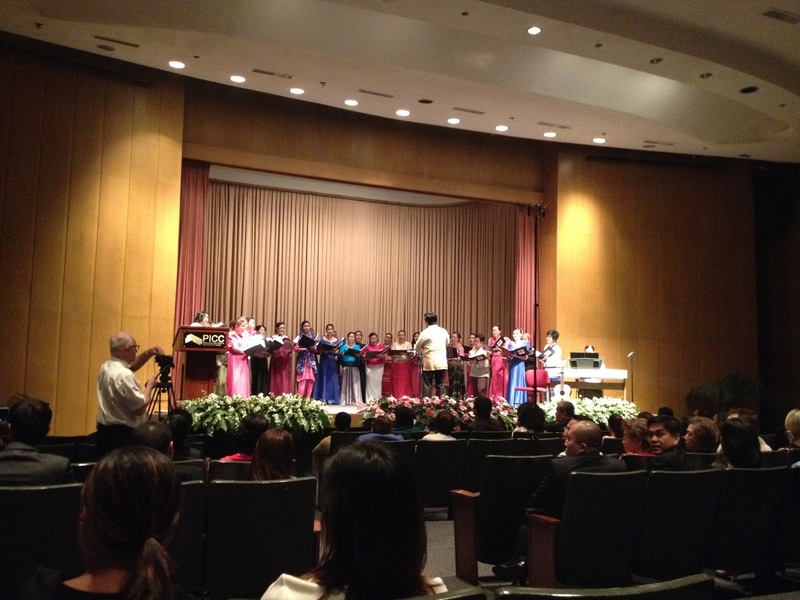 Plan W participants from all over the Philippines in a culminating choral concert. My voice teacher, Bechie Valena, was one of their voice teachers during the weeklong camp. One of the participants is someone I knew prior this project, as our choirs were supposed to be part of one project last year (still hoping for a collaboration in the future!). And we shall get to know her more and her Plan W experience here at Korista Ako! Jhoan Ayos is a budding conductor from Cavite. She handles the Melodic Symphony Children’s Choir, which will be having its concert on February 28. This is the second phase of Plan W, where the choirs of the participating women conductors will showcase what they have learned in a concert-recital in their own hometowns. Indeed a Dream Come True for these little angels and their conductor. Click photo for event details. Her choral heroes include Mark Carpio of the Philippine Madrigal Singers, who is also the Artistic Director of the Plan W Sing Philippines Program. She describes the Madz Choirmaster as musically gifted, very kind and patient, and exudes good vibes all around (wait, he’s my conductor, too! And yes, he is these ;D). 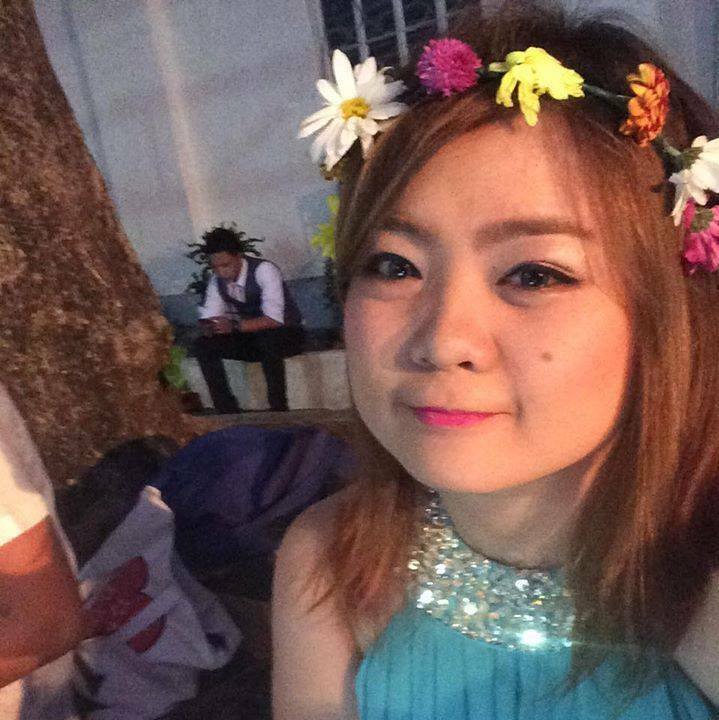 Another is Steve Collado, her conductor in CVSU Pansayang Sining, which had brought her to places, as well as the Madz et al Choral Festival. Another conductor favourite for her is Davidson Sy, her church choir conductor, who taught her the meaning of service. She said she experienced singing for four Masses straight when they were the only choir at that time in their parish. It may be tiring and unrewarding, but she still enjoyed serving for the Lord. TOURINGKITTY (TK): How was the overall experience? Plan W Sing Philippines has been a life changing experience for me. It made me realize that music is really my calling and made me ask myself, what took me so long? I once dream of inspiring people. Little did I realize I am already inspiring the children I am teaching through singing and serving. I felt so grateful and blessed to be chosen as one of the 34 scholars around the Philippines. I knew God has a purpose why I was able to be part of this a once in a lifetime experience. I am so honored to be able to attend training with the finest mentors in the field of singing. Araw-araw siksik, liglig at umaapaw ang learnings from the mentors. They have different styles of teaching but then all of them are effective. Namamangha ka na lang na yung mga inaaral ng matagal sa schools and other trainings nagawa ng mga mentors na isqueeze sa time allotted for them. Aside from the technical stuff, there were also lots of inspiring stories from the mentors. Yung good vibes ang lakas makamagnet effect. Mapapasabi ka na lang din na ang sarap mangarap! Na someday you can experience kahit ilan lang sa mga stories na shinare nila. Aside from the passion and love for music there is one more thing in common among all the mentors: they are all humble. Iba talaga yung galing na may kasamang right attitude. My experience would not be the same without my co-scholars. We came from different parts of the Philippines. The youngest is 18 and the oldest is 60 but we share the same passion for music. I was roommates with Ate Vivian from Capiz and Ate Laarni from Butuan City. They made my stay more enjoyable. All 34 of us were able to have bonding moments also from breakfast to breaks and even going out at night. I love how we shared insights, knowledge and experiences. Most of them have many years of experience but never did I feel any competition. We were able to build friendships from the week long camp (Oh my I miss them) but until now most of us are still connected through social media and text messages. TK: What were your most favourite part/s of the one week program and why? Day 01 – I was so excited and at the same time so nervous. Before going to UP some of the parents of the kids I am teaching said “galingan mo Jho umaasa sayo ang mga bata.” It was both negative and positive for me. Positive because I know they are just wishing me well, negative because I can feel the pressure. Upon arriving at the hotel I was able to meet my co-scholars. Hearing all their experiences I was like, “Bakit ako nandito? Dapat ba ko dito?” Comparing my background to them, it was nothing. I cried on my first night and prayed. I was crying at comfort room thinking I am letting the kids down kasi hindi ako makasunod sa tinuturo ng mga mentors tapos maalala ko pa sinabi ng parents ng kids. Here comes my favorite part. While reviewing at the hotel one of my roommates, Vivian Berjamin from Capiz came to me and asked alin ba yung hindi mo maintindihan? baka matulungan kita nagbiro pa sya saying “akala mo naman magaling ako eh no” sabay tawa. Just a few minutes after my silent prayer, God gave me the answer. That gave me so much hope that’s why the next days have become more fun and easier to understand. This training is not just about the best mentors sharing their knowledge to us. It is also about us scholars sharing our experience and knowledge. TK: Three things (or more, or less) from your mentors that you think will be very useful for your conducting career. Sometimes we tend to focus on the melody of the song. Maganda nga yung tunog pero yung text hindi na maintindihan. We should give importance to both. There are different ways on how to teach music but for them to understand music deeper you should teach on how it was developed. All of us know how to breathe but only few know the proper way to breathe. TK: Where will this training lead you to? This training gave me empowerment, hope and more determination which leads me to dreaming many things for my choir. I want to learn more about music and share more to other people. I will continue what I have started. Two weeks after the training I already see improvements of how I rehearse with my choir and will still continue to improve in the coming days, months and years. It made me dream big for my choir. I want the kids to experience many things about performing and music. TK: Anything you’d like to say to female conductors like you who aspire to be better at what they’re doing? I started as “walang alam” in music, just the passion, kaya minsan na din akong napanghinaan ng loob pero hindi pala dapat. When you’re doing the right thing all problems, struggles are just temporary. God will provide! Tiwala lang dapat at wag susuko. Most of the time we conductors don’t realize how much we inspire our choir members. We fail to realize how they give importance to whatever knowledge we impart to them. Sometimes you’ll be shocked to hear them say “gusto ko din pong maging katulad nyo”. Our simple wish to share what we know caused chain reaction to our members to their future members. Keep the passion burning! Let us continue to share and inspire other people. You are on the right track! Keep going! Thank you, Jhoan, for sharing your thoughts! We learned a lot from your stories, and we, too, can’t help but to feel proud of what you have achieved in those days. If this is not enough, then check this. She even managed to write a theme song of the project, which, along with her co-participants, was performed during the culminating activity! Watch video here. #KoristaAko is powered by Touringkitty. Tune in for the latest post every last Wednesday of the month. Follow on Facebook, Twitter, and Instagram for updates.